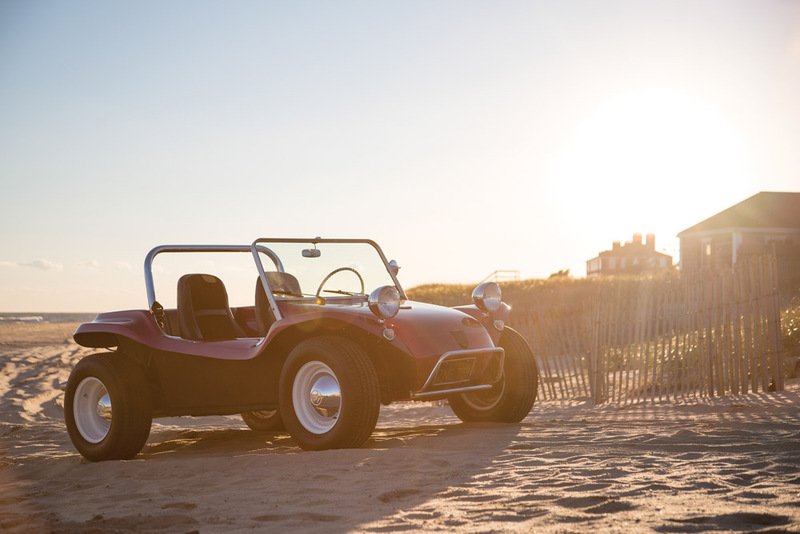 The original dune buggy! One of around 6,000 Manxes built between 1964 and 1971, this buggy was assembled on a 1963 Beetle chassis by Haddock, the highly regarded Santa Ana fabricator. 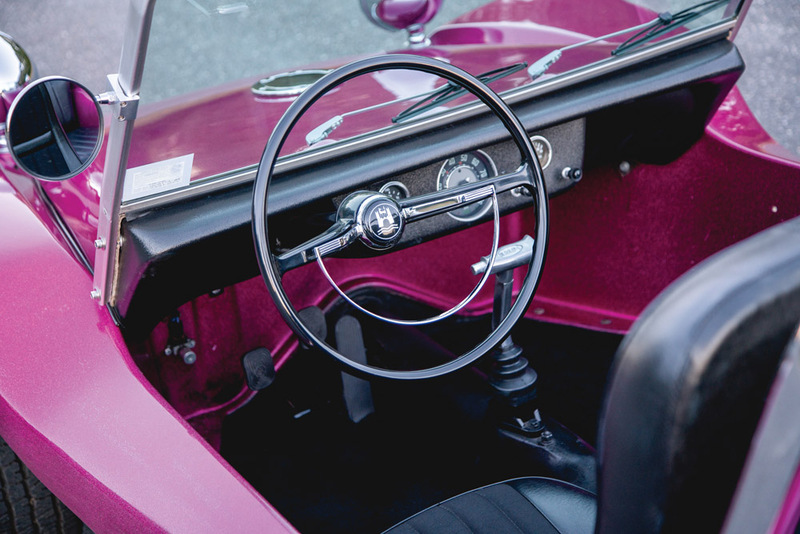 Fitted with the original tuned Volkswagen engine and the addition of a Weber carburetor offered an increase in power and reliability, while the original Manx Sidewinder exhaust with custom muffler minimises noise and produces a pleasant, deeper growl. 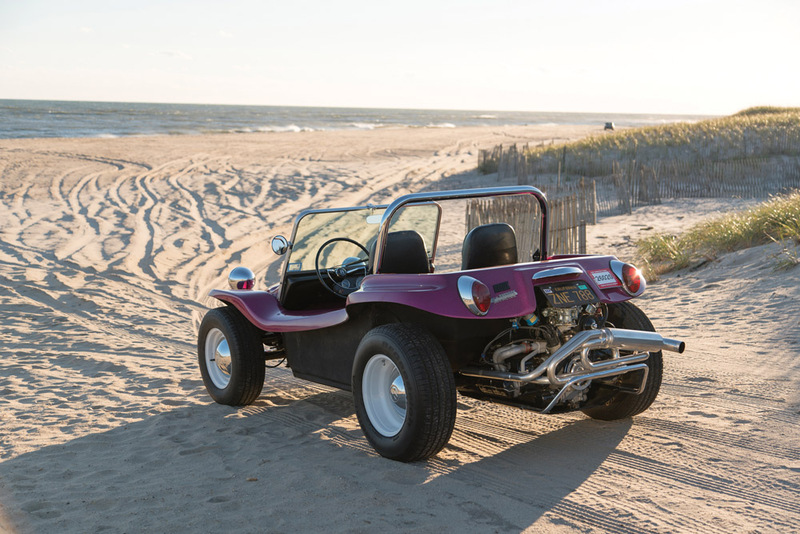 A custom fitted sand seal around the flywheel completes the powertrain modifications and makes this Manx ready for the beach driving it was born to do. 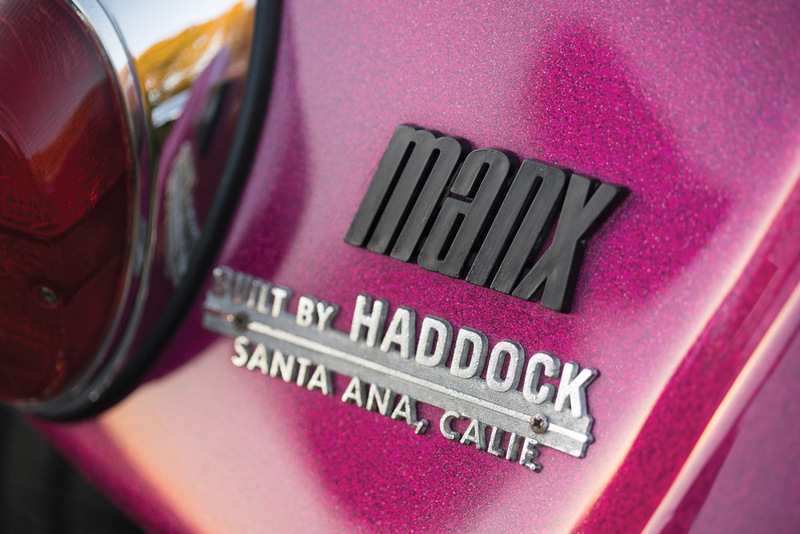 On the exterior, the durable fibreglass body is infused with a gel coat of the original metallic purple paint. 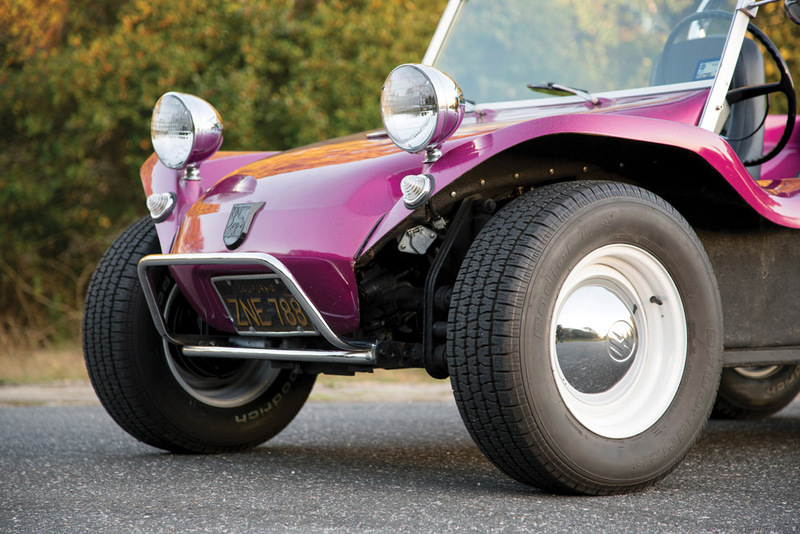 The original front and rear Myers Manx bumpers are installed and an EMPI skid plate is fitted to the rear to protect the engine during off-road excursions. Custom fabricated and period-correct Volkswagen wheels, 14 inches up front and 15 in the rear, fit perfectly within the arches. High back seats were custom-made with waterproof black canvas, and the dash controlled heaters offer additional levels of usability and comfort not originally available before. All-important three-point Securon seat belts have been fitted with steel reinforcements to ensure that the occupants remain safely inside while traversing over sand dunes. RM Sotheby's will be offering this example at their upcoming Amelia Island auction on the 11th March, the estimated value is between $30,000 – $40,000. For more information on this and other vehicles at the sale, click on the link below. Photos: Erik Fuller ©2016 Courtesy of RM Sotheby's.